The Libman Company, a leading U.S. manufacturer of household and commercial cleaning products, wants consumers to know that they don’t need to worry about everyday cleaning messes as long as there’s a Libman product on hand to help them out. 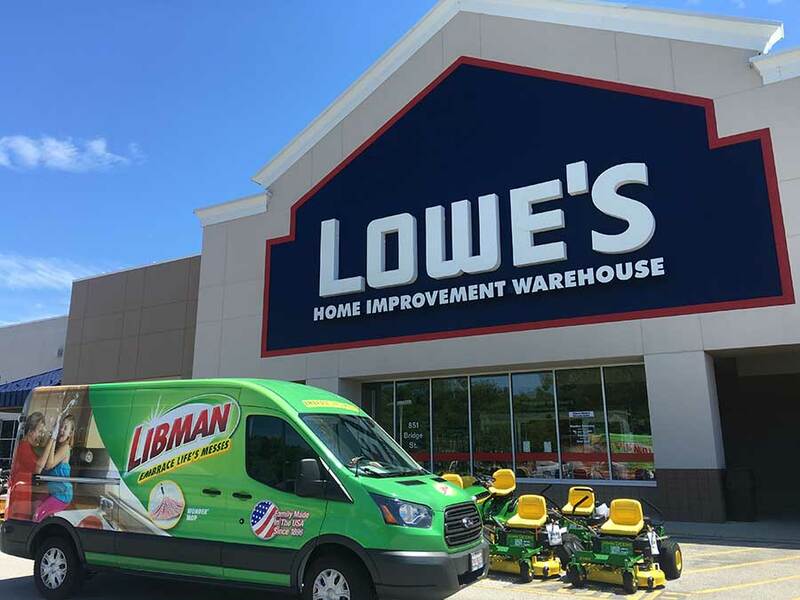 In celebration of its 120th anniversary this year, The Libman Company’s “Embrace Life’s Messes” tour is traveling to 109 retail locations in 14 cities this summer, including Charlotte Lowe’s retail locations on July 13 and 14. The company will give local consumers the opportunity to win Libman products in order to encourage them to embrace life’s messes by letting Libman help them to do the work. 6:00 p.m. – LOWE'S OF NORTH CHARLOTTE, NC - 1100 CHANCELLOR PARK DR. The 8-week “Embrace Life’s Messes” tour kicked off in Louisville Ky. on June 23 and will end in Chicago on August 18. The tours is being documented with blog posts, photos and videos of the team’s adventures on social media sites and on http://www.embracelifesmesses.com.